PT. Mass Rapid Transit (MRT) Jakarta Director, William Sabandar said, MRT construction has reached 92.50 percent. This progress consists of underground station construction for 95.83 percent and elevated station for around 89.19 percent.
" Until March 28, 2018, progress of MRT Jakarta project has reached 92.50 percent"
"Until March 28, 2018, progress of MRT Jakarta project has reached 92.50 percent," he informed, Thursday (3/29). 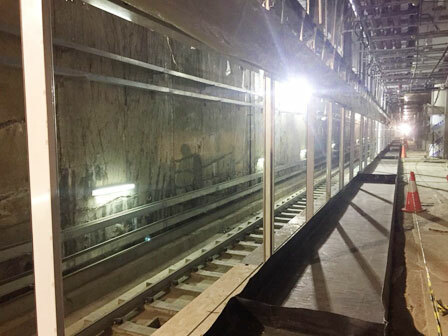 Currently his side conducts track-bed casting, elevated station track casting along 11,177 meters to 18,714 meters (59.7%), and underground track casting along 3,973 meters to 12,275 meters. It needs to be done because train will be arrived on April and it will be tested without passengers in December 2018. "Next, MRT will be operated in March 2019," he stated.